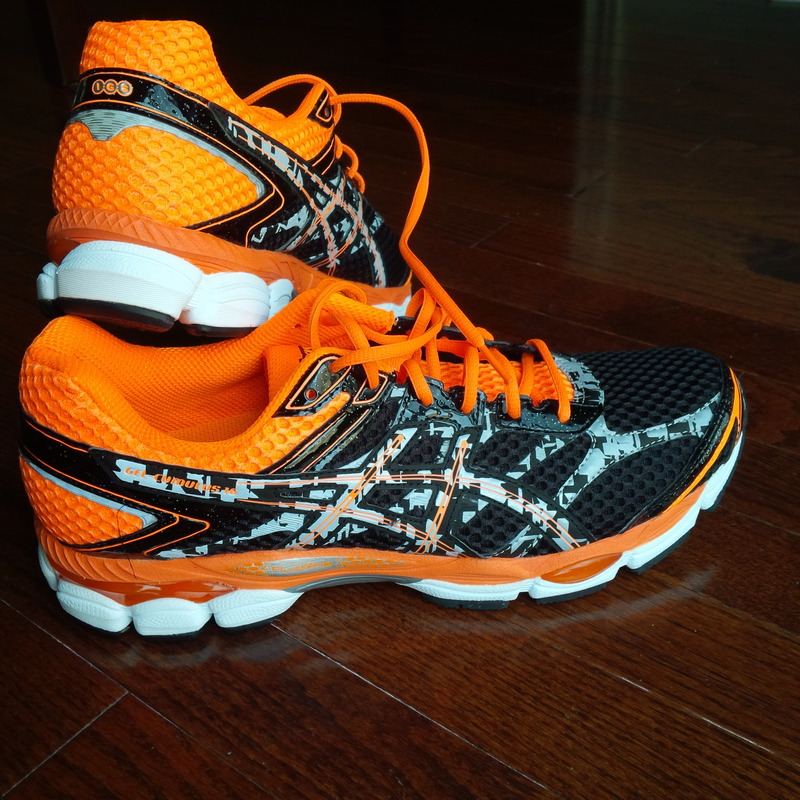 Home » Uncategorized » New Kicks! Well its been long overdue but I can finally say that I now have proper running shoes! I’ve had two Running Room gift cards that I’ve been holding onto since my birthday in April I know I know “What was I thinking??”! Part of the wait has been my own laziness part of it (this summer) has just been finding the time. Well I finally picked a time! The wife and kids were off to Canada’s Wonderland for the day and I had a little bit of free time. 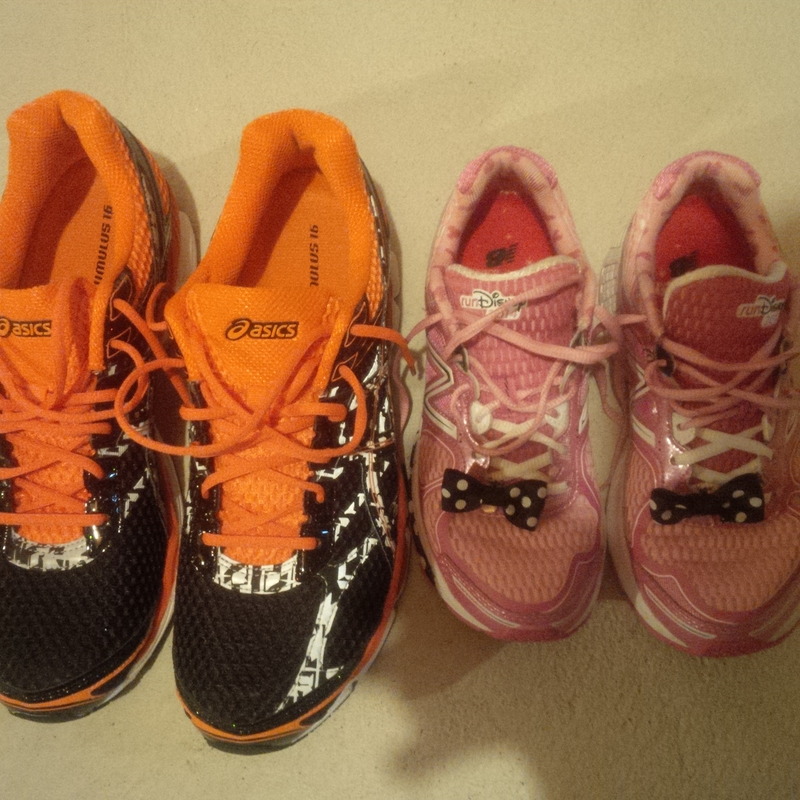 I jetted over to the Running Room to “quickly” get some shoes. I say quickly because I thought I’ll just pop in try on a few shoes and be outta there! Boy was I wrong! As I was about to learn selecting a real running show is not something to be taken lightly! The salesman at the Oshawa store was amazing! He spent all the time needed (45mins- 1hr) with me to ensure I was getting the right shoe! It started with him asking me questions about how my feet hit the ground when I ran, then looking at how my un-socked feet contacted the floor when standing and finished with him watching me walk though the store. 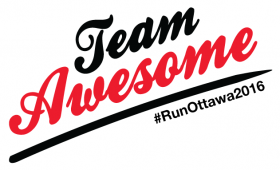 The Running Room also has an in-website app to help you with your shoe selection however I wouldn’t recommend it if you’re a novice like me and don’t know a lot about what you need. THEN he brought these out! WOW! I fell in love as soon as the box was opened!! Slight background info on me if you don’t already know; I am of Dutch heritage which means orange is a really huge colour for me! SO needless to say Asics couldn’t have picked a better colour for this shoe! I put them on and the experience was even better! As the name of this model suggests (Gel Cumulus) they were like walking on a cloud! The gel technology that is added to the soles of these shoes is the most comfortable feeling I’ve had with a shoe. Laced them up and the shoe wrapped perfectly around my foot; no special lacing or tying required. I walked around the store wearing them for a good 10-15 mins to ensure I wasn’t just wowed by the colour and they actually truly were the perfect shoe for me! SOLD! I have since run over 15k in these shoes and have never felt better on my feet! 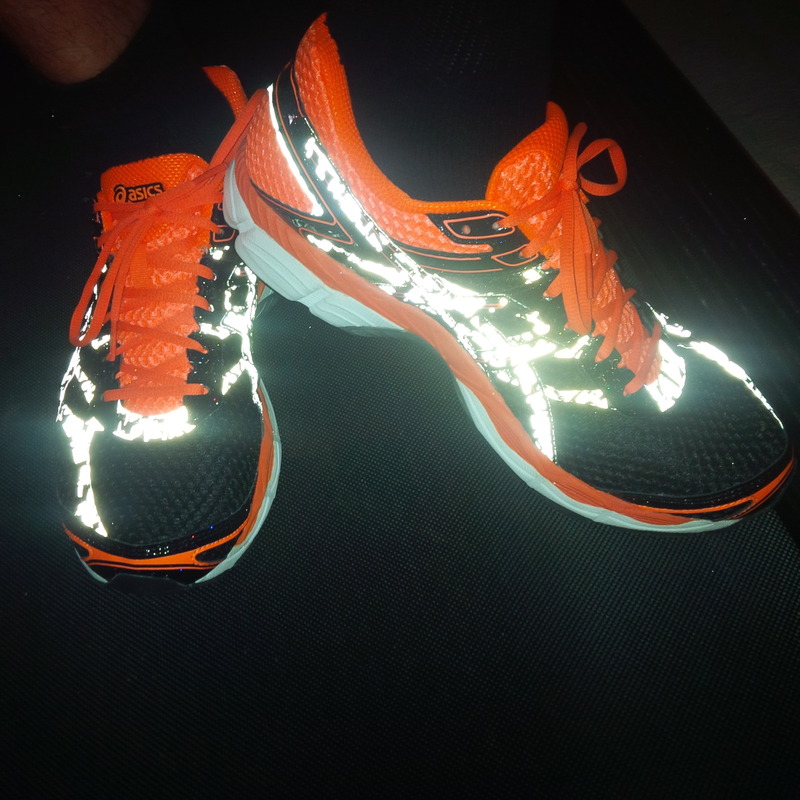 I love the reflective striping they have used to keep me safe in my after dark running! I love that my feet and heals are never sore due to the gel in the sole! I love the colour! I love to say that I love all the other technological features (scroll down and click quick specs) of the shoe but I have not been running long enough yet to really feel those features or notice any difference from another shoe. After about 9 months of running in totally improper shoes and thankfully without injury I have replaced my ancient and I mean ancient Nike shoes with these bad boys! I am looking forward to running many more miles in these shoes as well as my upcoming 15k RBC Run for the KIds as well as the #WineDineHalf and #PrincessHalf. So tell me: Have you found the perfect brand of shoe for you? Have you had your gait analysed? 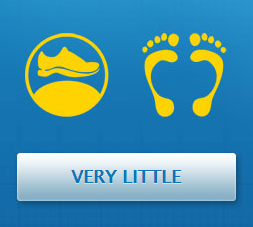 What do you like about your running shoes? By Mike van Mil in Uncategorized on 2014/09/09 . Ha, my mom and sis stood in line FOREVER to get those Disney shoes last year at the expo. I sat at the bar instead. I’m all about the Brooks Pure Flow. Been injury free in them the past few years. Not going to change as long as they keep me that way! Okay this scares me. WHAT THE HECK HAVE YOU BEEN RUNNING IN?! NEWSPAPERS?!? And I’m with bobcat. I’d rather sit in the bar then wait in line for those Disney shoes. Love’em but EGADS! I’m not paying that much money for knockaround shoes, even if they are pink! 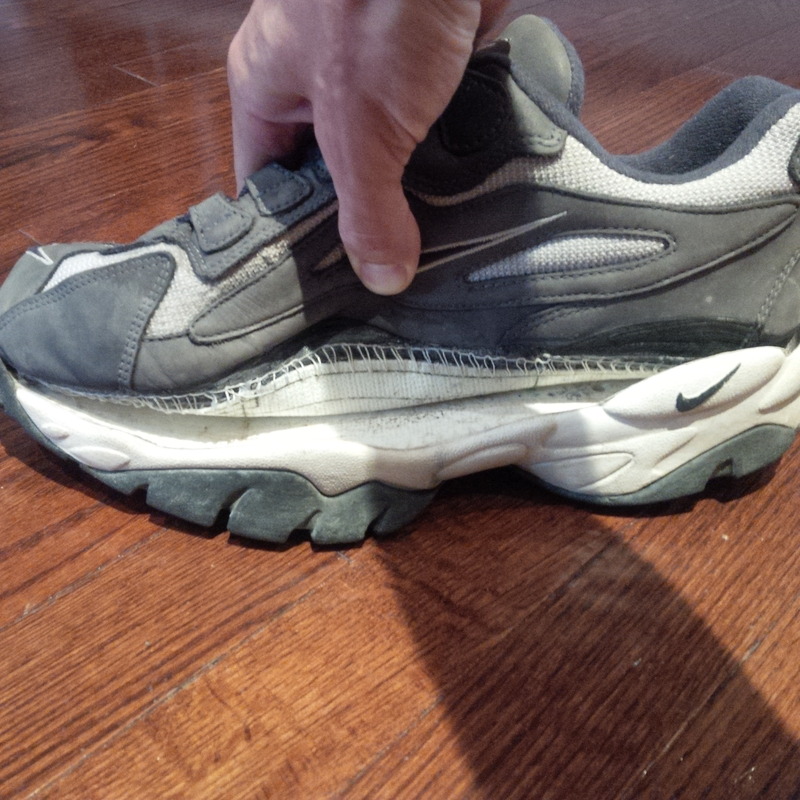 https://paramedicmike.files.wordpress.com/2014/09/wpid-img_20140910_164812.jpg in this shot you can see how the shoe is actually separating from the sole!! wouldn’t have been long until it broke free on a run. They did serve me well for a great number of years but it was finally time cut the ties and move into some big boy running shoes! 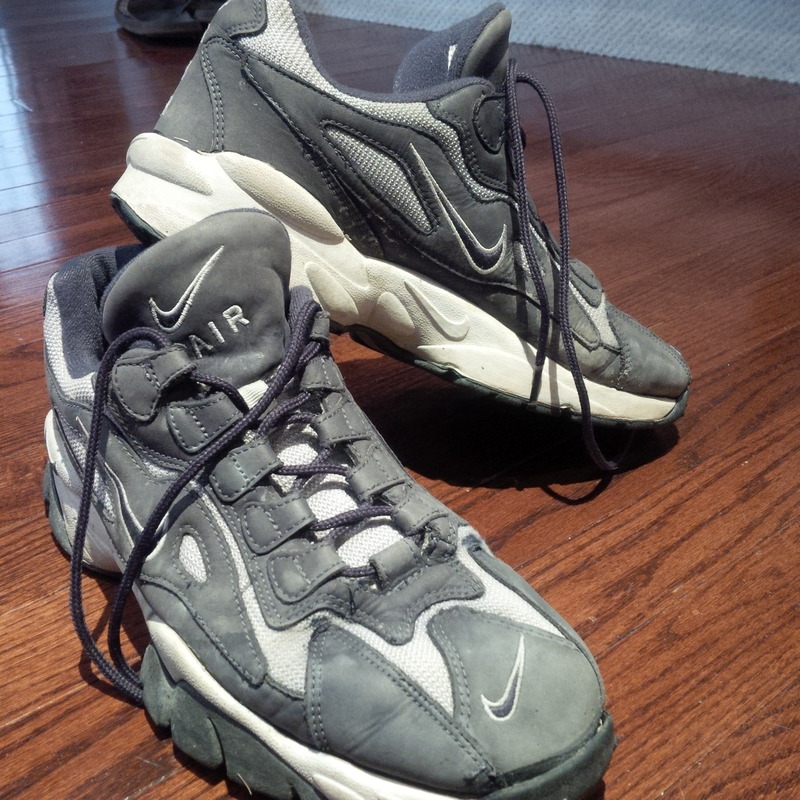 I know Carrie over at http://www.carrieburrows.com is quite happy I kicked these old kicks to the curb! She has been on my since the beginning to get proper running shoes! Years?? YEARS??!!?? Oh dear god, how did you not end up being your own patient??? Well if my own defence (kinda) I only started running at the beginning of this year. These shoes were manly used for the odd baseball game and what-not. I dont know how i never did become a pt. lol I can say that you’d be hard pressed to find a Paramedic that will allow an ambulance to be called for them! lol Thankfully no harm no fowl. 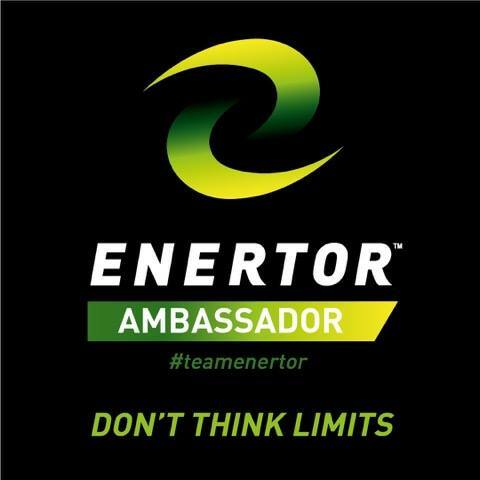 Onwards and Upwards!